"And put a knife to thy throat, if thou be a man given to appetite." Yes, I committed gluttony, one of the seven deadly sin of the Christian belief. The other six being lust, greed, sloth, wrath, envy and pride. It is said that gluttony is the over-indulgence and over-consumption of food, drink, or intoxicants to the point of waste - in my case, I didn’t waste it, I ate it all. But you can’t blame me, it’s my mom’s cooking, Jesus H. Christ! I goddamn missed those home recipes, which only my mother can cook. I’ve been eating oily fastfood crap and highly commercialized carinderia foods for almost two years now here in Manila, so my dear Heaven, please forgive my hungry soul. Well let me see if I am really guilty of this sin. Praepropere - eating too soon. – Yes, I’m guilty of this. I ate before breakfast, during breakfast, after breakfast – same with lunch, merienda, and dinner last week. Laute - eating too expensively (wastedly). - Hmmm, No No No. I ate it all and didn’t waste a last drop of any of it, simut-sarap burp ! burp!. Tuyo (dried fish), sinigang sa kasoy (Filipino cashew fruit-based soup), sinigang na pusit (squid soup), ginataang langka (unripe jackfruit in coconut milk), lots of fresh seafoods, watermelon, mangoes, fresh buko juice – well McDo value meals are definitely more expensive than these foods! Nimis - eating too much. – Hmmm, how can I measure “too much?” I didn’t vomit after eating, so I guess I didn’t commit this. Ardenter - eating too eagerly (burningly) – Yes Yes Yes, Guilty as charge. I do ate burningly. 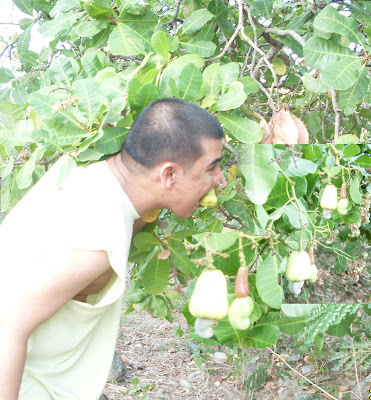 Forente - eating wildly (crazily). – If eating while laughing with my family is considered “eating wildly,” well I guess I’m guilty of this and I prefer committing forente than to eat alone or with strangers in some fastfood chain. Maybe some of the Catholics (mostly self-righteous fanatics) will say this is a very shallow interpretation of this sin, but I don’t care. "Pope Innocent XI Odescalchi has condemned the proposition which asserts that it is not a sin to eat or to drink from the sole motive of satisfying the palate. However, it is not a fault to feel pleasure in eating: for it is, generally speaking, impossible to eat without experiencing the delight which food naturally produces. But it is a defect to eat, like beasts, through the sole motive of sensual gratification, and without any reasonable object. Hence, the most delicious meats may be eaten without sin, if the motive be good and worthy of a rational creature; and, in taking the coarsest food through attachment to pleasure, there may be a fault." If, regardless of this explanation, I choose to make a beast of myself now, and over-eat and over-drink myself till I turn the good foods into poison, of course I am to blame. If, hereafter, I suffer the torments of my last week’s gluttony, I will gladly accept it, than missed the company of my family sitting down and enjoying each other’s company at that splendid food which I can seldom taste.